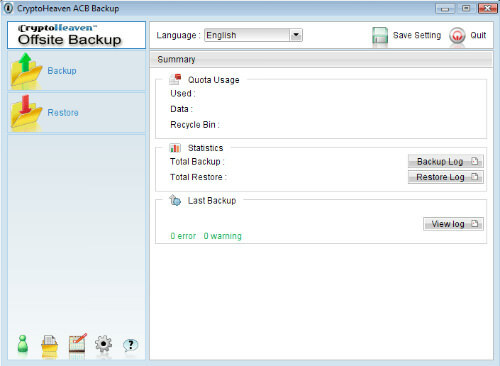 Online storage solutions provide users with a backup facility for their digital data. Every day, many electronic devices get stolen and despite advancements like tracers or theft protectors, only few lost gadgets are eventually found while the rest lie in the hands of strangers. The data you keep in these devices is important and sensitive and should be kept secure in even at the event of your gadget being stolen. Encryption is probably the best method by far to secure your files (and especially those which you don’t want others to know of). These services provide end-to-end encryption for your data that is stored online. They use military-grade encryption algorithms to protect your data on their servers and while you upload or download them. Let’s take a look at ten of these encryption-enabled online storage solutions you can put to good use. IDrive transfers and stores your data using 256-bit AES encryption, which makes your data highly secured. The IDrive client is available for Windows, Mac OS, Android and iOS. It’s easy to store and backup your files and folders. 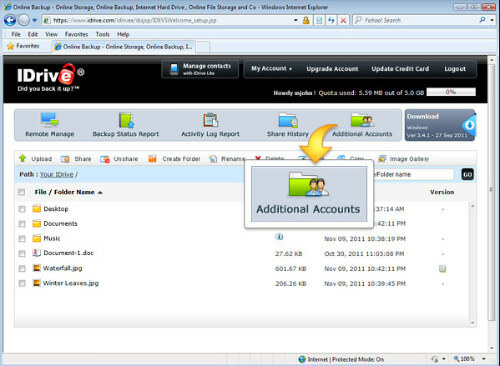 You can backup files from multiple devices in one account and manage multiple accounts through its client. They offer 5GB free storage. 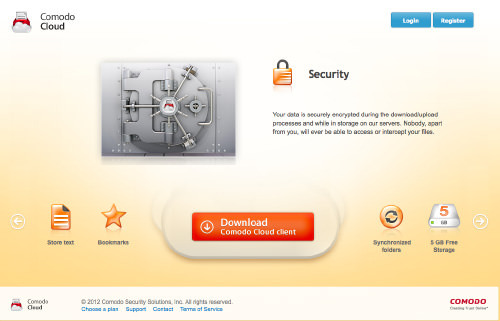 Comodo is an online security provider, selling products like antiviruses and Internet Security software. They’re experts when it comes to security. Comodo Online Storage transfers your data on a 256-bit SSL secure connection and stores it in encrypted form in Comodo’s highly secure storage infrastructure. They have an easy-to-use client software for Windows and Android and they also offer 5GB free storage. Wuala uses the 256-bit AES, 2048-bit RSA and SHA-256 algorithms for encryption, signatures and integrity checks for your data. This ensures maximum protection of your data. Wuala clients are available for Windows, Mac OS, Linux, Android and iOS. 5GB of storage is available for free. CloudSafe transfers your data using the highest SSL standard (EV SSL with AES-256) encryption. It stores data at their own servers, which are monitored by their own, multi-level security concept and their computer center fulfills the highest security requirements according to ISO 27001 and PCI. CloudSafe can be accessed via WebDAV clients on Windows, Mac OS, Android, iPhone and BlackBerry. They offer only 2GB free storage. SpiderOak uses a layered approach to encryption to store your data, using a combination of 2048-bit RSA and 256-bit AES. You can backup or store files from multiple devices in one single SpiderOak account. SpiderOak client is available for Windows 2000, XP, Vista, and Windows 7, Mac OS X and 32- & 64-bit Linux packages for Ubuntu and Debian. You can also access your files through their online access platform. They offer 2GB free storage. TeamDrive uses 256-bit AES encryption algorithm to secure your data while transferring or storing it. 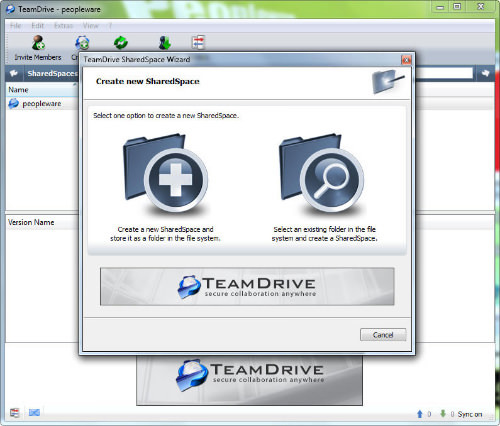 TeamDrive client is available for Windows, Mac OS and Linux operating systems. Their client is also available for iOS. They offer 2GB free storage. JustCloud uses 256-bit SSL encryption to secure your data. You can backup multiple computers in single JustCloud account. 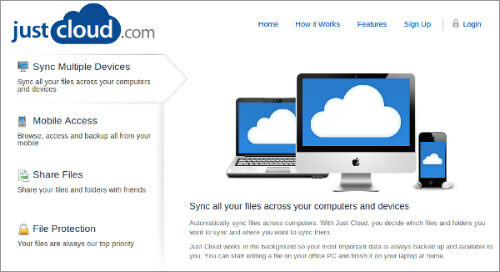 JustCloud client is available for Windows. You can access or store files from other operating systems using their web interface. You can access your files from your mobile device by opening their mobile site. SafeSync is provided by TrendMicro, a well-known security services provider. 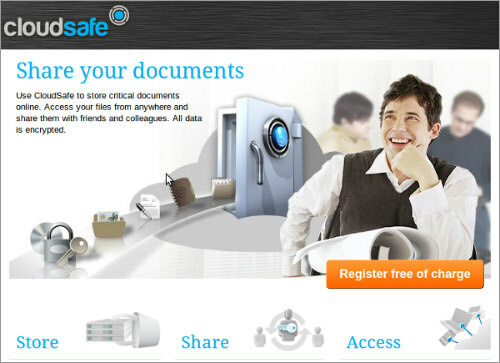 They started SafeSync after taking over Humyo (encrypted online storage which used to provide 10GB free storage). 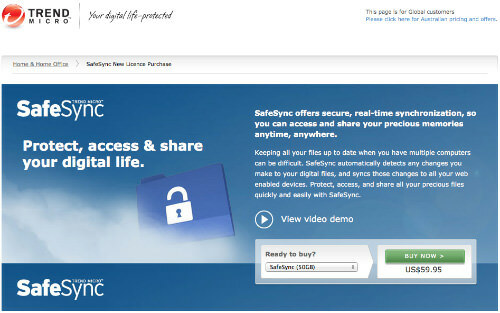 SafeSync 256-bit AES encryption to ensure your files are protected from others. SafeSync’s client is available for Windows, MacOS, Android and iOS. They offer 30-day free trial. SwissDisk uses 256-bit AES encryption to transfer/store your data securely. 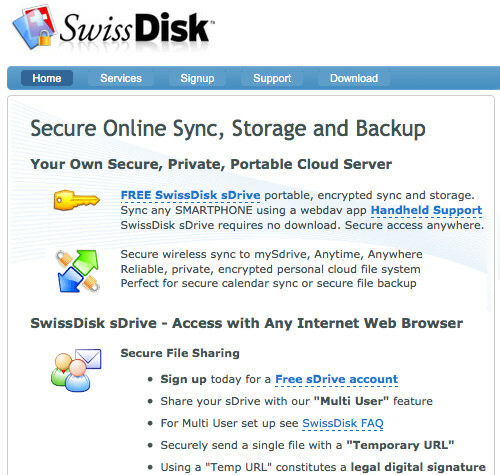 SwissDisk client (sDrive) is available for Windows and Mac OS. You can access your files from Linux and mobile devices using any WebDAV software. They offer 50MB free storage. CryptoHeaven uses end-to-end encryption, up to 4096-bit RSA and AES-256 algorithms. CryptoHeaven provides its clients for Windows, Mac OS, Linux and Solaris platforms. Although this is a rare online storage product which provides Solaris client, I didn’t find any information about client for mobile devices.